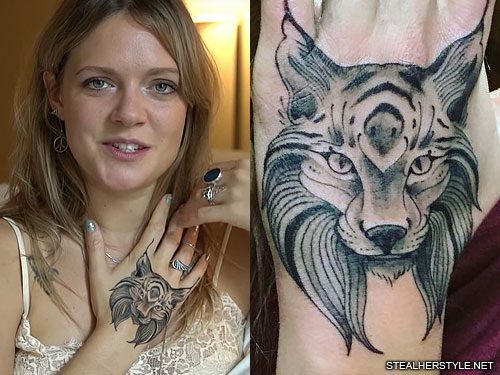 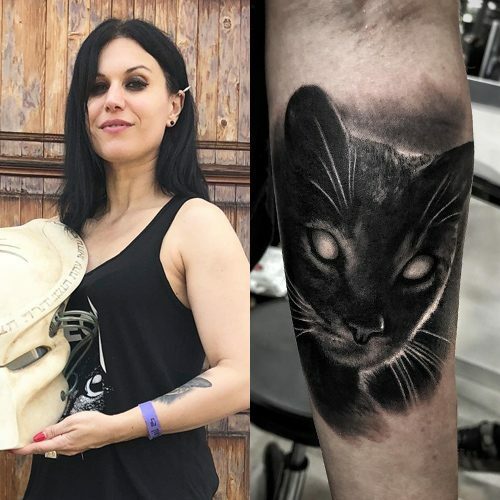 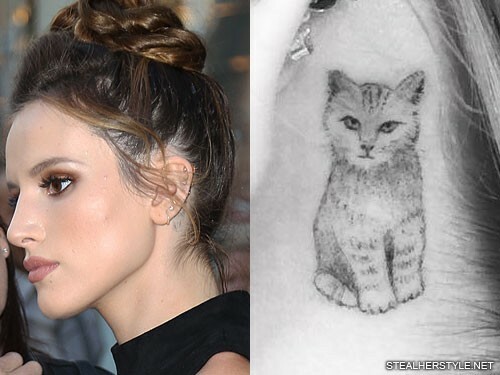 Annalisa Scarrone has a cat tattoo behind her left ear. 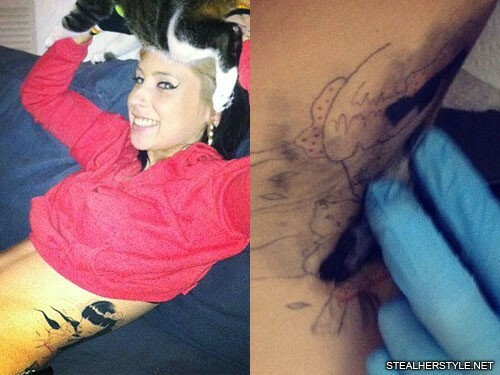 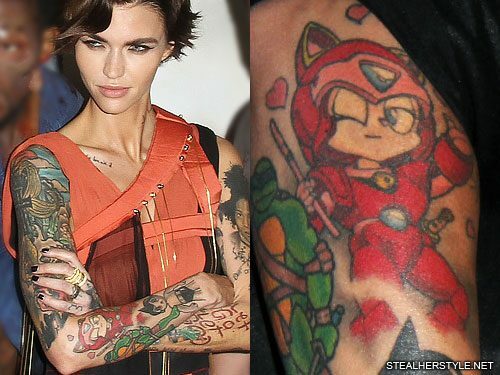 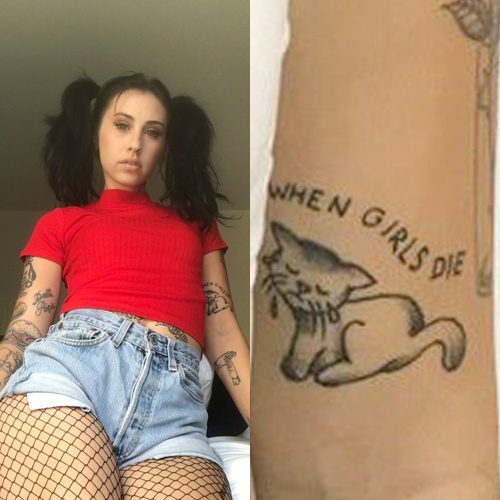 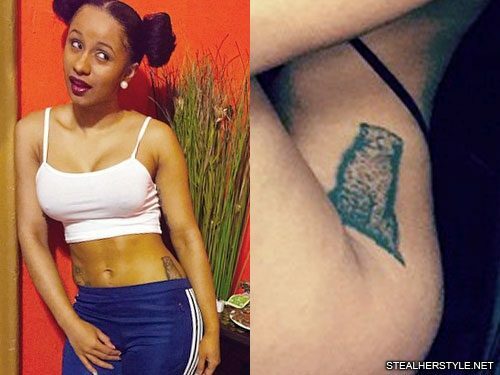 Kreayshawn has a crying cat and the message “I hate when girls die” on her upper left arm. 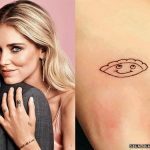 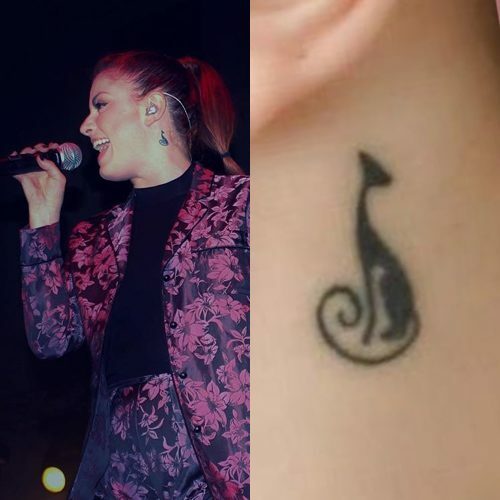 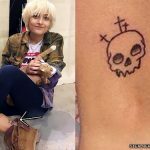 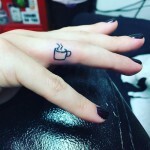 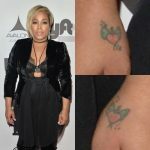 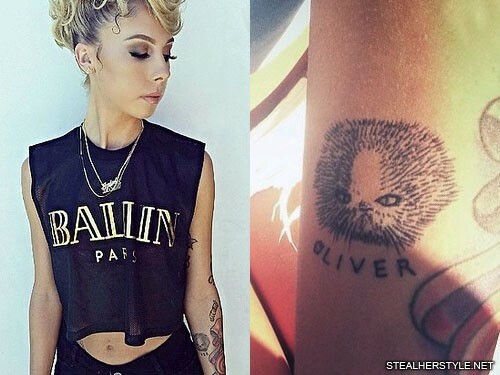 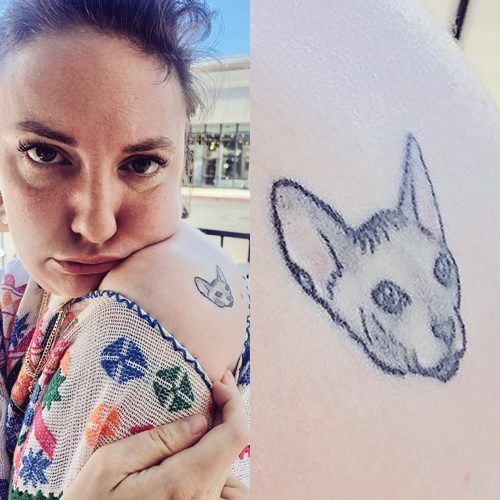 In April 2014, Lil Debbie got this tattoo of a cat’s face and the name “OLIVER” in memory of her cat Oliver who passed away.